This colorful wallet is sure to make you smile. 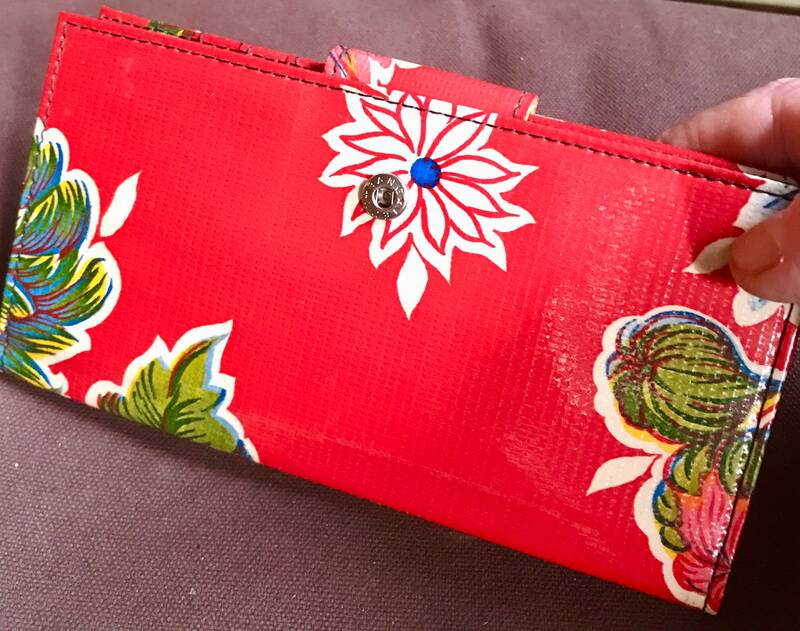 Our beautiful floral oil cloth wallet provides a pocket sleeve to hold a checkbook or small notepad. 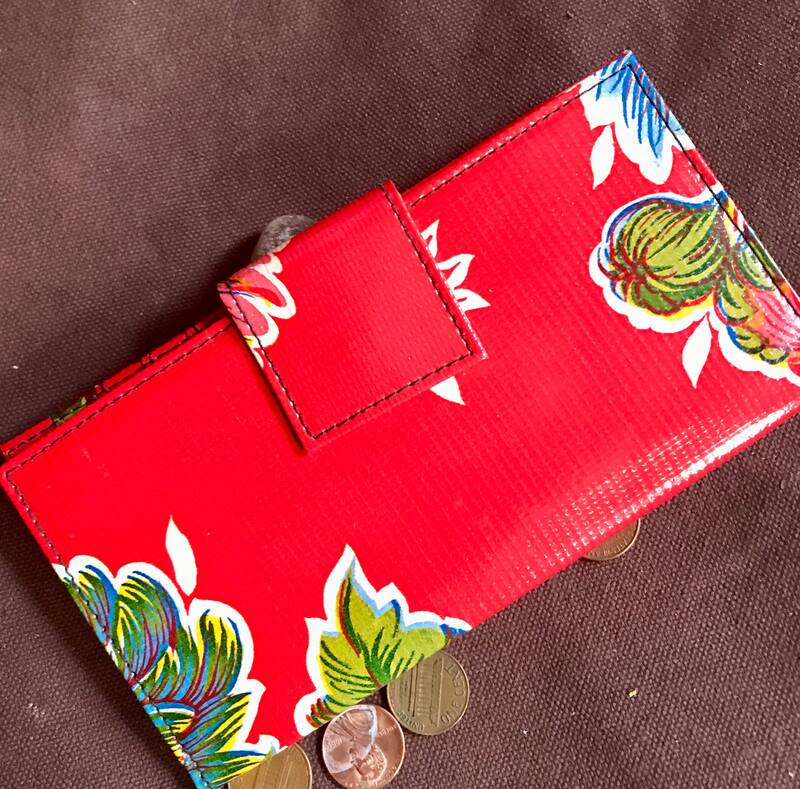 The interior has plenty of slots for credit cards and of course a pocket for your bills. 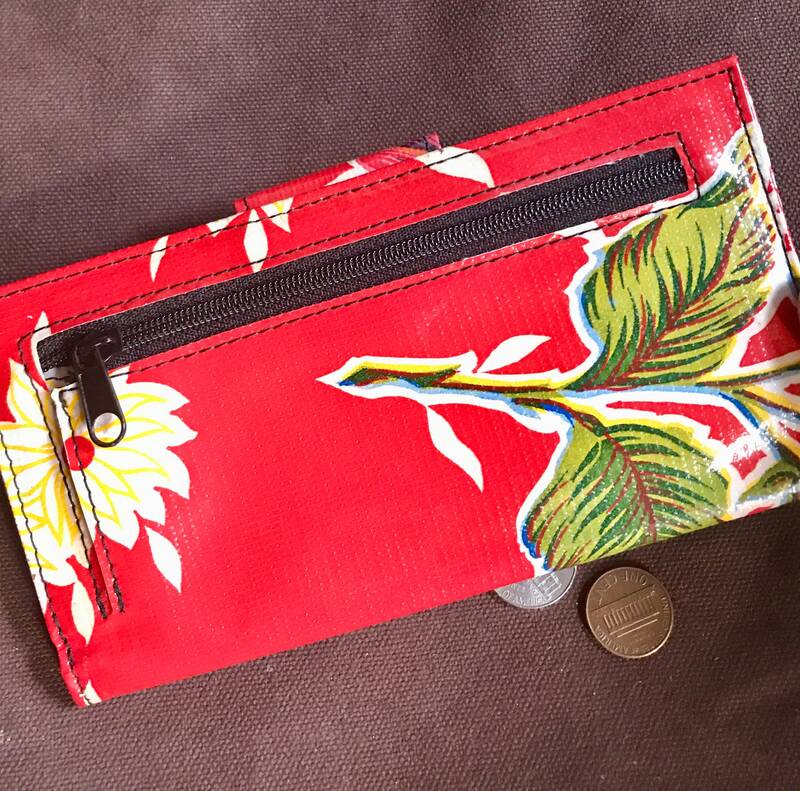 On the outside back there is a zippered pocket for your change and the front has a snap tab closure. 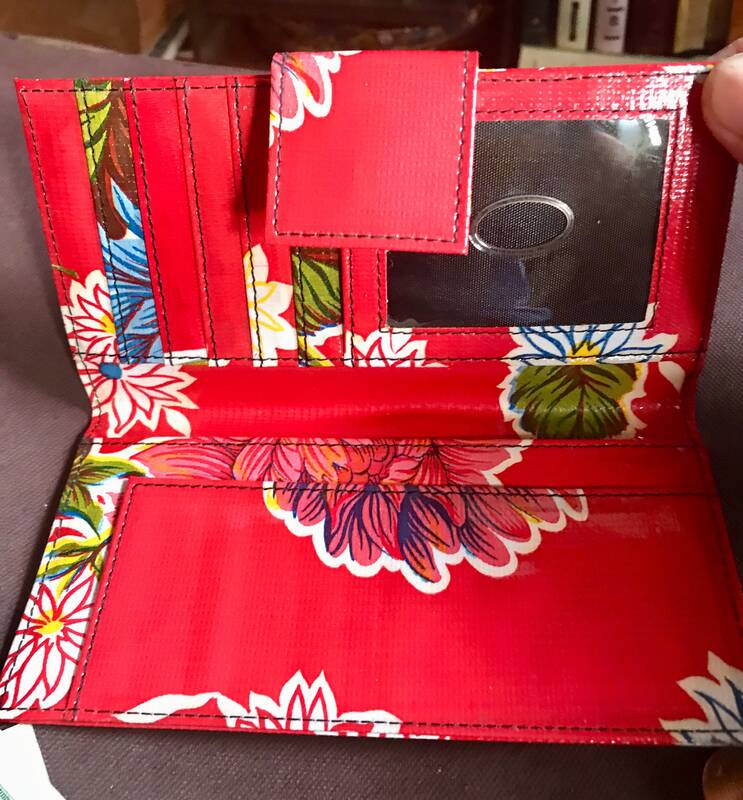 This wallet is sleek and slim in design and fun and festive with its colorful oil cloth pattern of flowers on a bright red. background. The pictured wallet is the one you will receive.